Holly was such a special part of our wedding day. We chose to have a more personal wedding ceremony so it was important to us that the right person married us. From our first Skype call with Holly we were impressed. She was fun, friendly and cared about our story! My husband and I both answered some questions from Holly which worked for us as we could do them in our own time, then she took our answers and worked them into a lovely script. On the day itself, it was lots of people’s first time attending a ceremony of this nature, and even the more traditional guests were wowed by how special and personal our ceremony was. 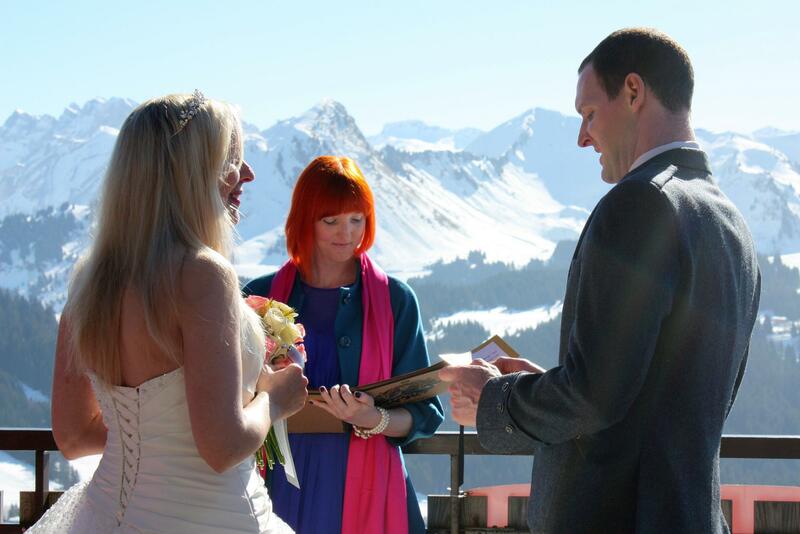 “One of our very best decisions was choosing Holly as our celebrant! Getting the ceremony right was a real priority for us – we knew we didn’t want a religious or formal ceremony and we wanted to make it personal and built around us. The whole process was a lot of fun; it made us think about our relationship and what makes it special, and thanks to Holly it was also stress-free. The end result was absolutely perfect – just the right mixture of fun and informal but with serious moments (and some tears from the audience!). 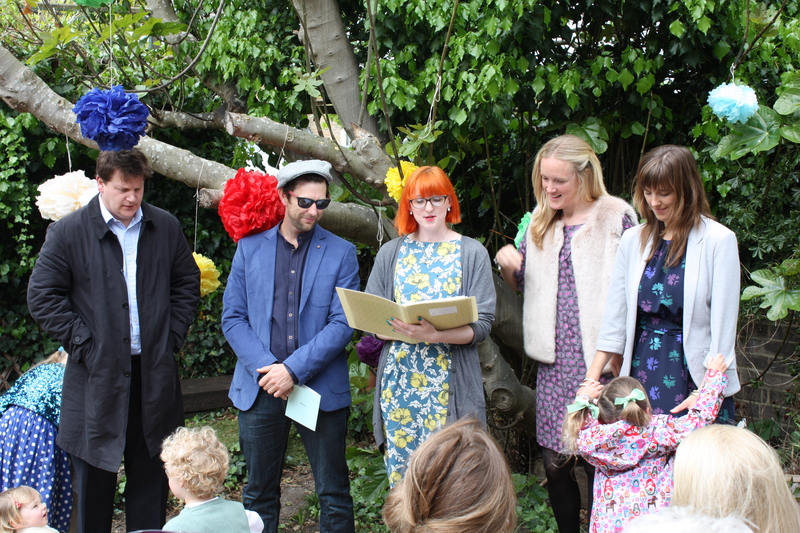 One of the first things everyone said was how great both the ceremony and celebrant were. Lots of guests were quite jealous and said they wished they’d had something more personal and unusual. “Holly was an absolutely fantastic celebrant! From the first Skype consultation we knew she was a perfect fit; young, warm, friendly, genuine and totally passionate about what she does. Holly really got us, she was so good to work with and happy to making any changes we asked for along the way. On the day she put everyone at ease and delivered a perfect ceremony (I say this with a tear in my eye). We absolutely loved it, as did all of our guests… everybody commented on how ‘us’ it was! “We were lucky to have you to help us with our wedding day. You have been easy to talk to throughout and listened to us and understood what we wanted, and then helped explain it to us I think! I was worried that some people might think I was being greedy and wanting everything in our wedding ceremony, but you were always encouraging and never once made me feel that. Rather, you put the emphasis on finding the combination of elements that was right for us and it turned out perfectly. On the day itself you were hugely reassuring to us both before the ceremony, when I at least was very nervous. As I knew you would, you led us through smoothly and with grace and professionalism. “When planning our wedding we wanted every single detail to feel personal and fun, but for there also to be a proper ceremony that was meaningful. We met with several celebrants initially, but as soon as we met Holly she fit the brief completely. She felt like someone we’d be friends with anyway, and had lots of creative ideas and knew exactly what we wanted. Quirky, heartfelt and no cheese! Organising our wedding from another continent meant I probably sent endless emails but she was always so kind and supportive. After we sent her our questionnaires, the ceremony she sent back to us was absolutely perfect. It was such an enjoyable process of creating our own unique ceremony and a welcome breather from the usual pre-wedding craziness! “Holly, we just wanted to say thank you so much for all your help and for conducting such a beautiful ceremony on Saturday. We couldn’t have wanted it to go more perfectly! Our friends and family also commented on how wonderful and personal it was, including one friend who said it was the most moving ceremony he’s ever been to (with a tear in his eye! ).